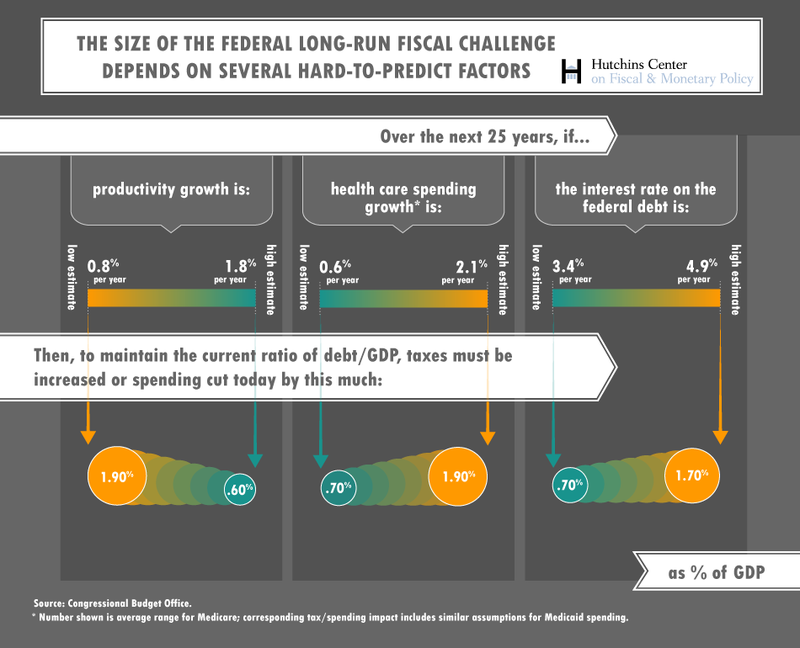 The Long Run Outlook for the Federal Budget: Do We Know Enough to Worry? Politicians, pundits and the public are inundated by projections of federal revenues and spending, deficits and debt, most of which show the federal budget to be on an unsustainable trend. But those projections turn on factors for which there is substantial uncertainty: How fast will health care spending rise over the next couple of decades? What will happen to labor force participation rates? To productivity? To interest rates? On December 15, the Hutchins Center on Fiscal and Monetary Policy at Brookings focused on the implications of budget uncertainty for fiscal policy. Do projections out a decade or, sometimes, 75 years, provide unwarranted precision? How much uncertainty is there? And, if the uncertainty is very large, how should policy react? Should we do more saving now to prepare for the worst-case outcomes or wait to see how things play out? How might government policy anticipate, rather than ignore, uncertainty? Are there better ways to convey uncertainty to decision-makers? We featured new papers by Alan Auerbach of the University of California at Berkeley and David Kamin of New York University. Participating in the discussion was Nobel laureate Peter Diamond of MIT, Charles Manski of Northwestern University, Robert Chote of the UK Office of Budget Responsibility and Douglas Elmendorf of the Congressional Budget Office.